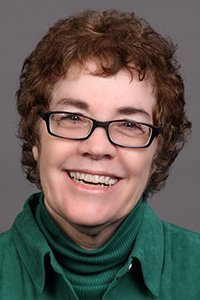 Janet Wasko studies the political economy of media, media theories, and international communication. She is author, co-author, or editor of 20 books. She is currently President of the International Association for Media and Communication Research. Global Media Giants, edited with Benjamin J. Birkinbine and Rodrigo Gomez, New York: Routledge, 2016. Handbook of Political Economy of Communications, edited with Graham Murdock and Maria Helena Sousa, Handbooks of Global Media and Communication Series, Malden, MA: Blackwell Publishing, 2011. Cross-Border Cultural Production: Economic Runaway or Globalization? Edited with Mary Erickson, Youngstown, NY: Cambria Press, 2008. The Contemporary Hollywood Film Industry, edited with Paul McDonald, London: Blackwell Publishing, 2008. Media in the Age of Marketization, edited with Graham Murdock, Cresskill, NJ: Hampton Press, 2007. A Companion to Television, editor, Blackwell Companions in Cultural Studies Series, London: Blackwell Publishers, 2005. Wasko studies the political economy of media, focusing on media industries and companies, with an emphasis on issues relating to ownership, control, and power. Much of her work has focused on the US film industry and the Walt Disney Corporation.